We are delighted to announce our investment in CupClub, a returnable packaging service for drinks, managed through cloud-based IoT software, as part of their $460k pre-seed round as they set out to eliminate single-use packaging. Over 14 million disposable coffee cups are used every day in the UK, with just 1% being recycled. 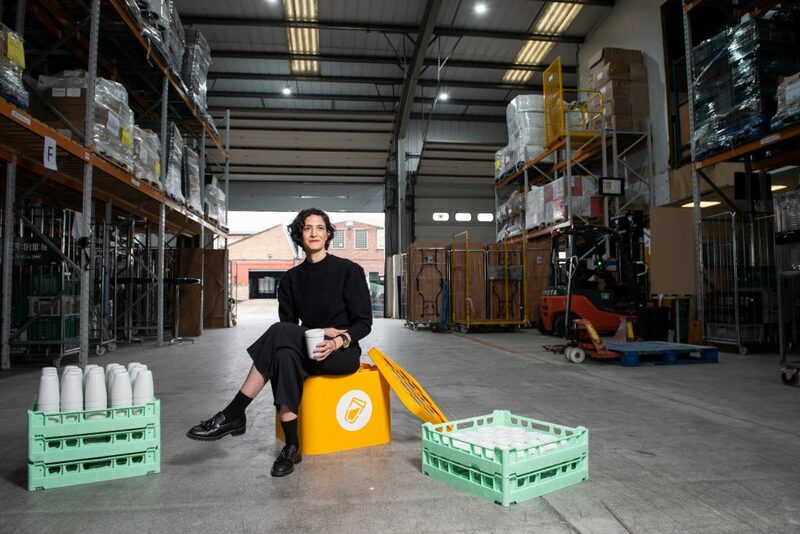 CupClub is the world’s first returnable packaging service for drinks that utilizes RFID technology and cloud-based IoT software to provide complete supply chain traceability to brands and retailers, making drinking coffee on-the-go more sustainable. Tech comes in many forms, and one area that’s becoming increasingly critical for us all is eco-tech. Single-use plastic waste and plastic pollution is a key contributing factor to climate change and disposable coffee cups, typically lined with plastic to prevent leakage, are a significant contributor to this global problem. We’re excited to invest in Safia and the brilliant team at CupClub who are attacking this problem head-on with the world’s first network for sharing drinking cups across organisations. We look forward to supporting the team on their journey as they make a dent in this global problem and help large companies move employees away from single-use plastics. Join the reusable revolution and find out how CupClub can support your organisation right here.